Hello again, The 36th Avenue readers! I’m back and sharing something a little different today. 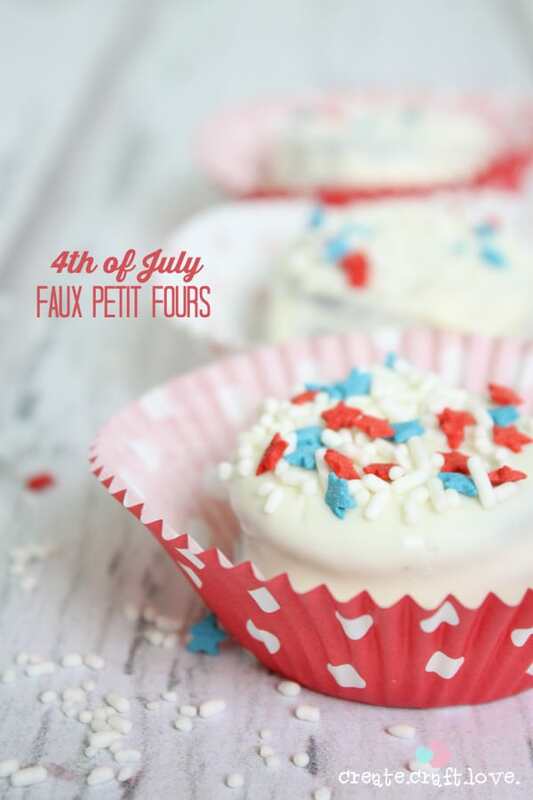 This is a fun and easy dessert idea for Memorial Day and the 4th of July! They can be whipped up ahead of time too! 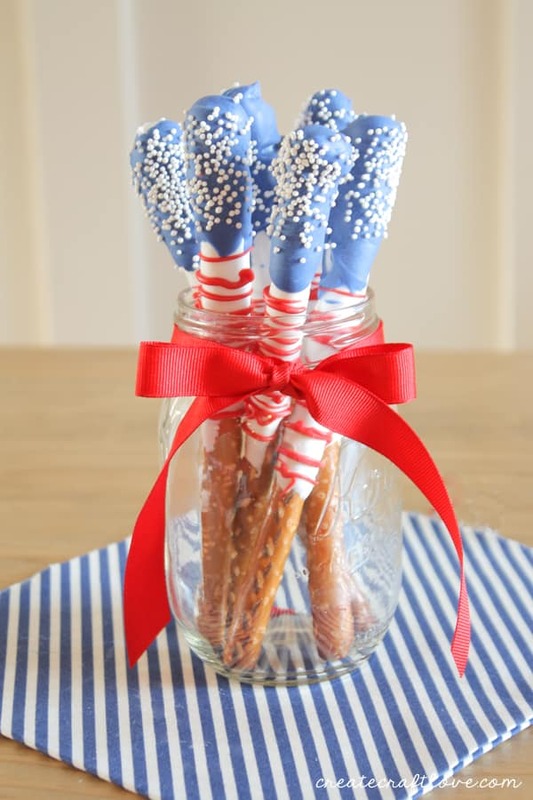 These Red, White and Blue Dipped Pretzels are perfect for your summer celebration! You can pick up almost any color in candy melts from Wal-mart or Michaels. 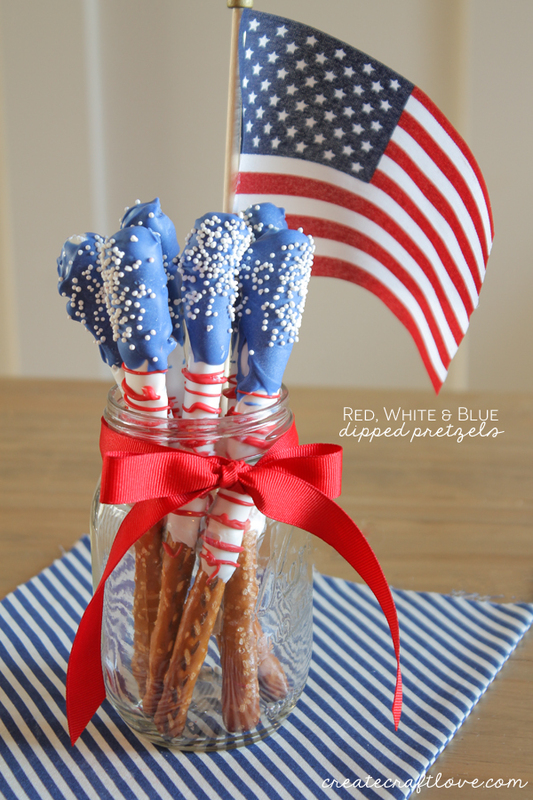 All you need is red, white and blue candy melts, some pretzels rods and white sprinkles. I started with the white melts. Melt in the microwave according to package directions. Dip two thirds of the pretzel rod in the white. 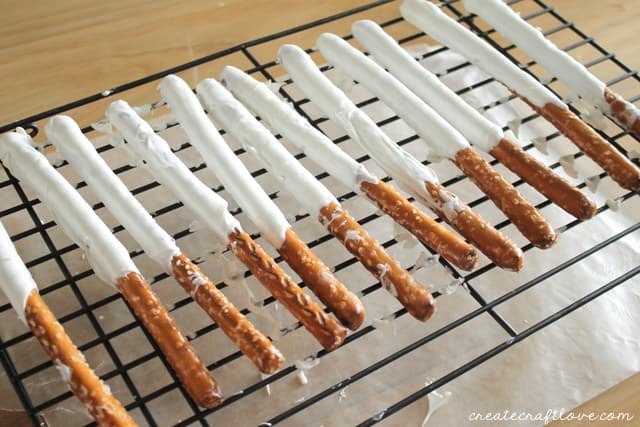 Lay out on parchment paper or cooling rack with wax paper underneath. Next you will melt the blue candy melts. Dip the top third of the white section in the blue. While it is still wet, sprinkle with the white sprinkles. Allow to dry. Finally, melt the red candy melts. Pour melted red candy into plastic baggie. Cut the corner of the baggie and drizzle over the white section. 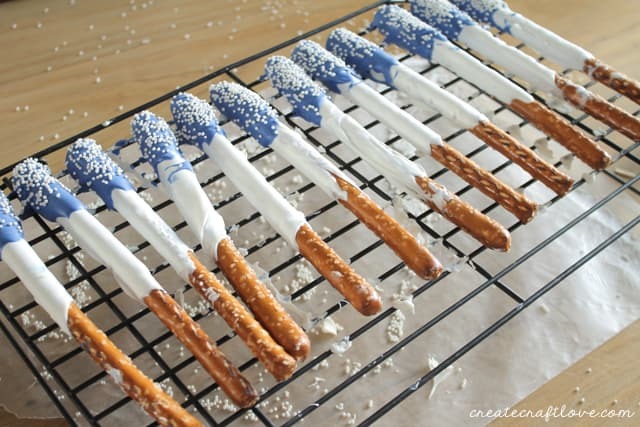 After they dry, you have the perfect patriotic treat for your party! If you’re looking for more fun summer treats and decor, stop by Create.Craft.Love! 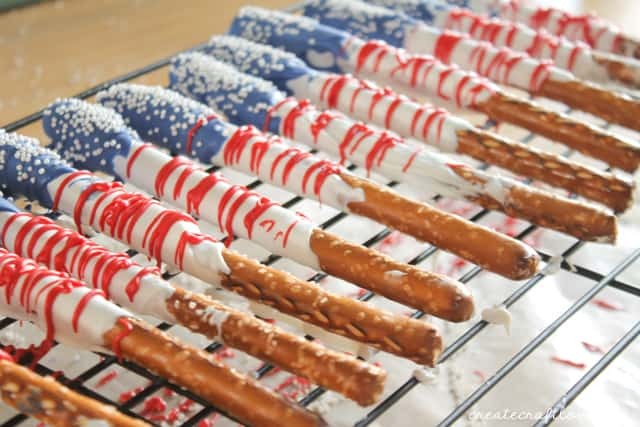 I love the 4th of July decorated pretzel rods! 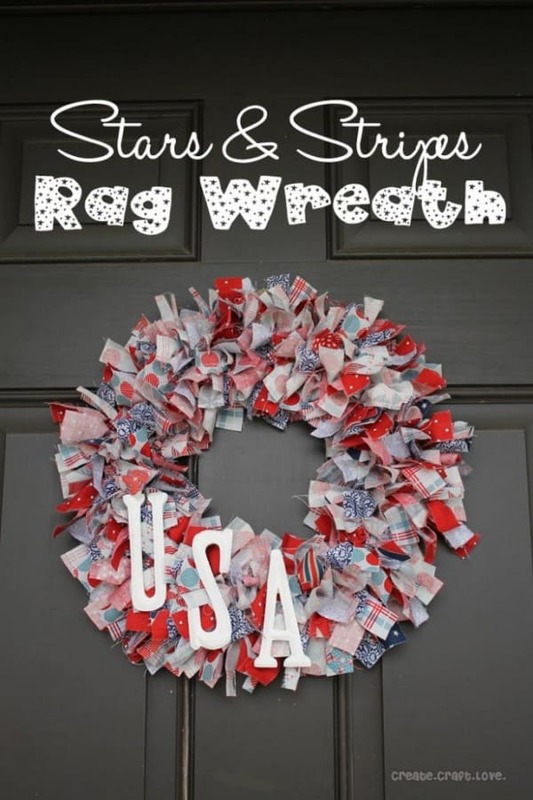 I would like to make these and send to a soldier in the Middle East. Due to extreme warm temperatures I am wondering if these will arrive without being a melted mess. Please advize your guidelines. Thank you! As a mother who had a son overseas…. I would guess they would melt… they do take a almost month to get there…. I sent my son his favorite peanut butter cookies… He said when he opened them they were warm like they just came out of the oven.